In the present work an attempt has been made to analyse the value system as operative in the Vedic literature. The Vedic value system refers to what the Vedic people regarded as valuable. The word value is used here in its most comprehensive sense. The corpus of Vedic literature is not a homogeneous collection. One can, therefore, hardly expect any uniform value system in all the works of this literature. It was not possible in this short monograph to deal separately with individual texts or views of individual teachers on values; an attempt has therefore been made to have an idea of the values from the Vedas as a whole. 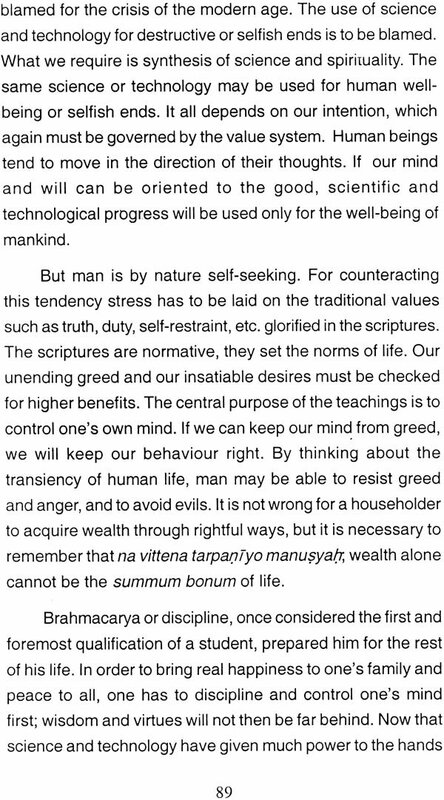 The Vedic value system resulted in the concept of a set of values called Caturvarga, fourfold objects or aims of man's life Dharma 'religious merit', Artha 'wealth', Kama 'enjoyment' and Moksha 'liberation'. The scheme of the fourfold end of man, Caturvarga, is one of the principal ideas of Hinduism. Like many other things, it is based on the Vedas. Samiran Chandra Chakrabarti, son of late Nibaran Chandra Chakrabarti; 1st class 1st in both B.A. Hons in Sanskrit (C.U.) and M.A. 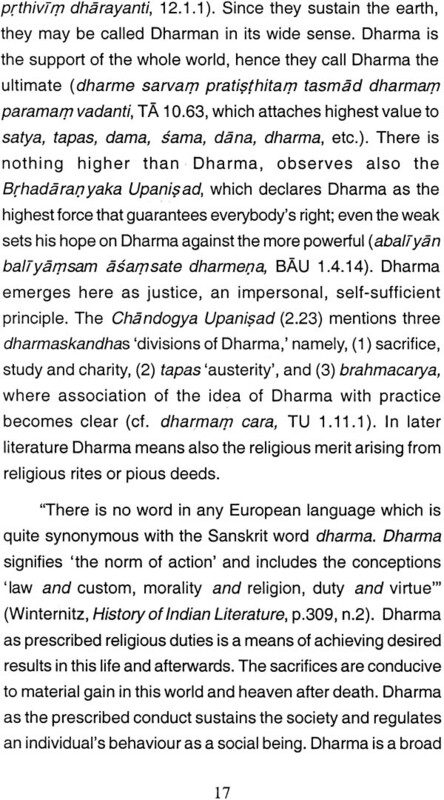 in Sanskrit (C.U. ), Eshan Scholar, Ph.D. in Sanskrit (C.U.) winner of Griffith Prize in Humanities (C.U. ); formerly Head of the Department of Sanskrit and now Professor and Director of the School of Vedic Studies, Rabindra Bharati University, Calcutta; Guest Lecturer in German, Calcutta University; Editor, Vedic Studies (Journal of the School of Vedic Studies), 1997, 1999. His publications include The Paribhasas in the Srautasutras, Calcutta: Sanskrit Pustak Bhandar, 1980; gveda-Pratisakhya, with exposition in Bengali, as Assistant Editor in collaboration with Amareshvar Thakur, Vol. 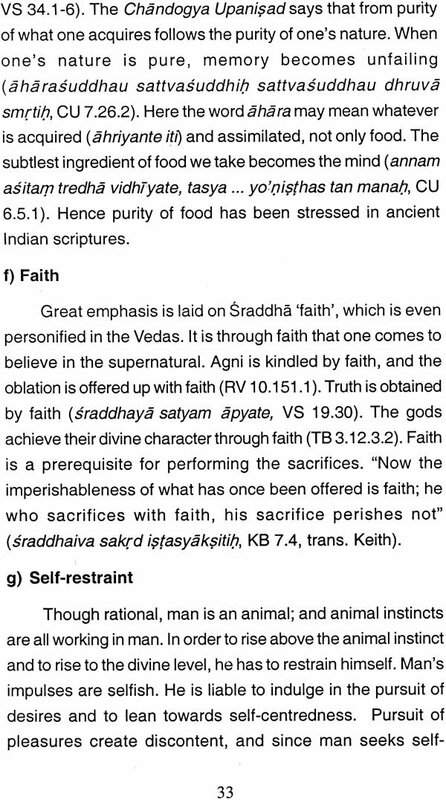 I, Calcutta; Veda Prakashan, 1997; Some Aspects of Vedic Studies (Ed. 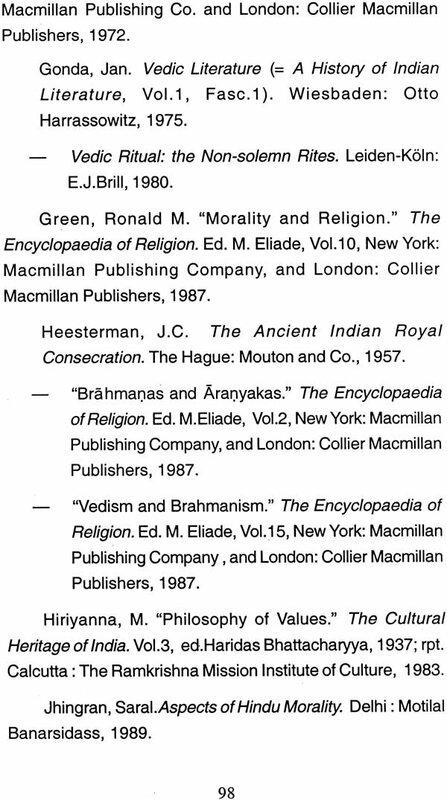 ), Calcutta: Rabindra Bharati University 1996; Buddhism and World Culture (Ed. ), Calcutta: Rabindra Bharati University 1998; and many papers in felicitation vols. And journals of India and abroad. The meaning of life has been the perennial question in the history of thought and spirituality. The direct contradiction between the actual realities of material existence with the ideals, which have been constantly perused by humanity, has been put forward as the proof of the invalidity of the ideals, - on the unexplored assumption that our present limitations of consciousness are final and cannot be exceeded. This argument can competently be met if we enquire as to whether there is any meaning in the contradiction we find between the actual and ideal. This is one of the quintessential tasks of metaphysics and, the meaning of the contradiction can be discovered if we perceive that the entire evolutionary process has been a constant battle between the actual and ideals, - between matter and life or between life and mind. We find that in the upward movement of evolution, the higher ultimately triumphs against the obstructions of the lower. Therefore, it would seem quite logical that the present battle between the actual and the ideals will also and in the triumph of the in ideal that the present humanity is seeking to realize. In the field of spirituality, the question can be settled by means of verifiable, repeatable, and constantly expandable spiritual experience. This has been the basic approach of the Indian genius, which has put forward the concept of purusharthas. The spiritual experience of India has the distinction of having scaled lofty peaks of the spiritual Infinity, and yet it has not lost the firm grounding in the physical Matter. It is in the light of this tradition of spiritual experience that a value system has been constructed in India which traces for the human being a ladder starting from the satisfactions of the lower being, which has two important but interrelated steps, which have been described as those of kama and artha, which are both connected with the vital being rooted in the physical. The middle step of the ladder is that of dharma, which provides intermediate states of consciousness, which can control the lower impulses towards kama and artha and reveal still higher levels of consciousness which provide to the human being liberating experiences of the Spirit. This liberating experience is that of mokhsa, which, again is an indispensable step towards what the Veda, describes amritam or immortality. To the Indian genius, the scale of these four values stands justified in the light of experiences of large number of individuals that we find throughout the long history of more than 5000 years. The Vedas, which are the earliest records of spiritual experience, It is this store of knowledge, which has sustained throughout the long history of India, the value-systems which has been contained in the concept of purusharthas. 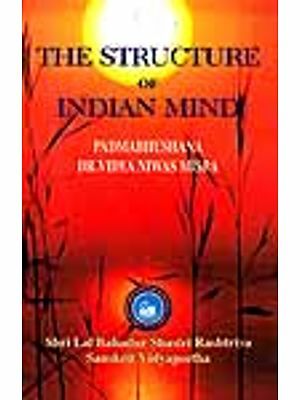 Dr. Samiran Chandra Chakraborti has made in this book a scholarly study of the Concept of Purusarthas, and a great value of this book lies in the presentation of the valuable statements, which have been identified, in the voluminous corpus of Vedic literature covering four Vedas and Upanishads. Dr. Chakraborti has to his credit several other publications, which testify to his profound scholarship in the Vedic studies as also in the field of Indian culture. The present book is a further contribution, and it is to be welcomed particularly in the context of the present crisis of value systems and the need for revisiting the question of the meaning of life and the search for summum bonum. I am thankful to the authorities of Maharshi Sandipani Rashtriya Vedavidya Pratisthana for their kind request that I should write a short monograph on the value system as reflected in the Veda: the concept of Purusarthas. It is a great honour I hardly deserve; nevertheless, I thought it proper to cooperate with the Pratisthana in its endeavour to propagate the Vedic massages. 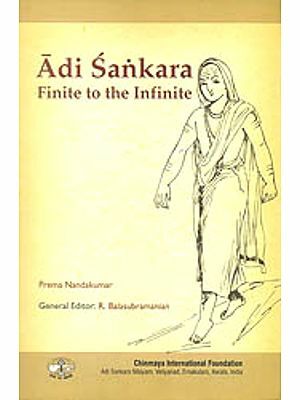 In this monograph I have made a modest attempt to glean the ideas from the vast corpus of Vedic literature reflecting the value system cherished by the Vedic seers and to show its connexion with the later concept of fourfold Purusarthas. 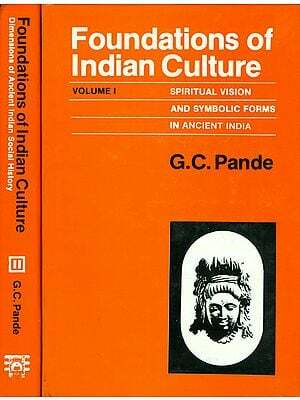 This value system has exerted great influence on the direction of the Indian culture. As the Vedic texts are not within easy access of many people, I have in many cases cited or referred to the relevant Vedic passages, representative in character. Those who may be interested in further study of the subject and may like to go through the original texts will find the reference useful. I shall be happy if this monograph may as a stimulus to the readers. I am thankful to Srimati Alpana Chowdhury, Project Fellow at the School of Vedic Studies, for her kind assistance in comparing the press copy. Opinions vary widely in respect of the exact nature of value and value-judgement. The word value was originally used to mean worth mainly in political economy. Later on, the meaning of value has broadened, and the word is used in other disciplines too in a wider sense. Value as an abstract noun primarily means worth, worth as estimated, intrinsic worth or goodness, desirability, that which renders anything useful, etc. In its wider sense, however, value covers the entire field of human life: all kinds of rightness, virtue, morality, religion, truth, law, custom, the arts and science. Various kinds of value are therefore spoken of, e.g., economic, ethical, aesthetic, and so on. As a concrete noun, value (often used in the plural in this sense) means the object valued, i.e., the object that is valuable or is regarded as valuable. There may not be universal agreement as regards the species of value; but pleasure, aesthetic experience, beauty, truth, virtue, friendship, justice, harmony, etc. are usually accepted as values. Awareness of value represents a reaction upon facts, an attitude towards and an evaluation of facts. Facts relate to objectivity, whereas values, to subjectivity. Because of differences in individual attitudes and mental set-up, value appreciation may differ from person to person. It is debated whether a value can exist as a property of an object totally irrespective of man's interest in the same. The value judgements usually express the agent's favourable or unfavourable attitudes to the objects of evaluation. This should have some rational justification too. Even then, since the principles and standards vary, what is regarded as valuable by one, may not be so by another. That is why value judgements are to some extent subjective and relative. As the value judgements express one's way of feeling or thinking about an object, they indicate pursuit or avoidance; hence values are regarded as positive and negative (disvalue), good and bad, respectively. Thus hedonic values are the pleasant (positive) and the unpleasant (negative), ethical values are right (positive) and wrong (negative), aesthetic values are the beautiful (positive) and the ugly (negative), and so on. The cultural and social conditions of a people are very closely connected with the value system. The ranking of values will be different in different cultures, though there are some universal values for the human beings in general. 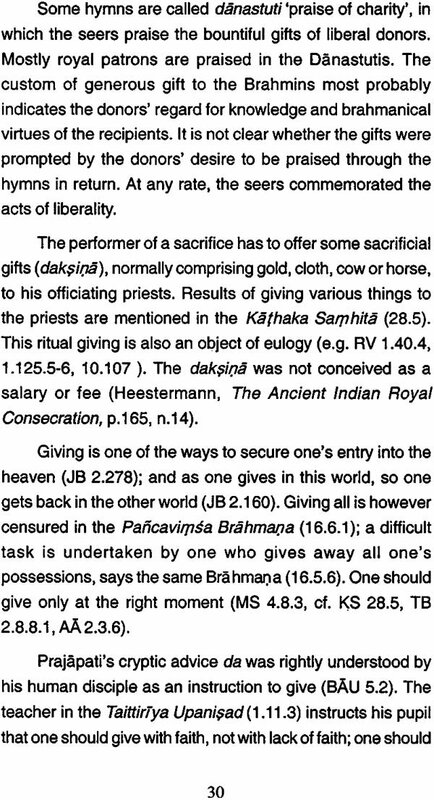 In the following pages an attempt will be made to depict the value system as reflected in Vedic literature. The Vedic value system will refer to what the Vedic people regarded as valuable. The word value is being used here in its most comprehensive sense. Controversy may however remain over the question whether something is valuable because it is desired or it is desired because it is valuable.